If you’re running your own winery, or thinking of starting one, we have some news that may help kick-start a new opportunity for your business. 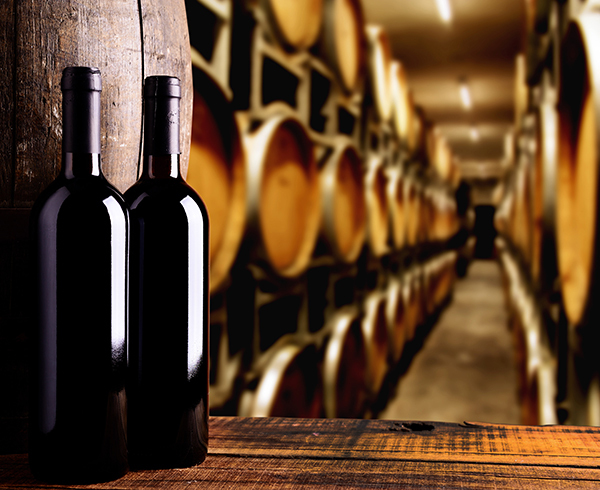 The 2015 Wine Tourism Conference is being held in northern Virginia on November 18-20! This conference will offer you a full three days learning a whole lot more about the business side of running a successful wine tourism venture. If you’re serious about realizing the full potential of your winery, looking at the potential for diversifying into wine tourism really is a no-brainer. As a fast-growing area of the wine industry, it’s a sector that’s just ripe for the picking! What exactly is wine tourism? For a start, it’s nothing like that Sideways movie you might have seen. Merlot is very definitely ON the wine list for these tours. We’re talking about the tasting, consumption and buying of great wines and encouraging the tourist industry to see your winery as a great vacation destination for the discerning wine lover. Wine tourism is a rapidly growing sector of the Virginia and U.S. economies. In fact, the wine industry in Virginia brings almost $750 million into the state economy each year. That’s a huge boost to the local economy and a sure sign that wine is becoming an established industry in the state. Virginia now has over 250 wineries, with only 4 other states nationwide having more wine businesses – not bad when you consider the monopoly that California, the best-known of the wine-growing regions, has on the US market as a whole. And those Virginia wineries brought in more than 1.6 million tourists last year, according to the Virginia Tourism Corporation. So you can see the potential for dipping into that market and making your winery the destination of choice for wine tourists from across the U.S and the wider world at large. This year’s Wine Tourism Conference takes places in the historic town of Leesburg, Loudon County. It’s only 33 miles from Washington D.C. and has grown rapidly over the past few decades from a sleepy country town to a bustling commuter town with a big interest in the wine industry. Of those 250 Virginia-based wineries, 40 are based in Loudon County, so it’s the perfect place to hold the conference and to promote the idea of encouraging a wine tourist trade. And Loudon is extremely serious about its wine industry. Back in 2010, the Loudoun Convention & Visitors Association, rebranded the county ‘DC’s Wine Country’, creating a real boost for the area’s rural economy and offering help and assistance for businesses wanting to set up their own winery in the county. In fact, in the last five years, 16 new wineries have popped up across Loudon county adding weight to that claim to be genuine wine country for Washington’s wine-loving inhabitants. The conference takes place at the Lansdown Resort, a stunning resort, spa and golf club set in 500 acres overlooking the scenic Potomac River. It’s only 8 miles from Dulles International Airport and there will be shuttles from the airport to the venue throughout the three-day run of the conference. So, other than enjoying some beautiful scenery and a relaxing stay in a top resort, why should you come along to the conference? What will your wine business get out of the three days? 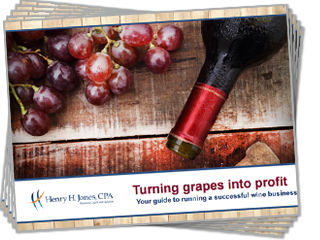 You’ll get clear information about the growing wine tourism industry and how it can help grow and improve your own wine business. It’s an amazing forum to meet and network with other winery owners, leaders in the wine tourism industry and wine sector experts. An overview of the current state of wine tourism from keynote speakers and industry panels. Specific, useful information you can use in subjects such as social media marketing, public relations, staffing, and more from breakout sessions and pre-conference workshops. Networking opportunities during sessions and at lunches, dinners, and receptions. An opportunity to pour your wine at the Wednesday evening reception. This event is really not to be missed. If you’re a winery, or a business in the wine tourism industry in Virginia and surrounding states, this is a golden opportunity to learn more, network with influential people in the sector and inspire your business to reach new heights. It’s a chance to get totally up-to-speed on how wine tourism can work as part of your winery’s business strategy and marketing plan. If you’re looking to increase the number of visitors to your winery, or want to improve the number of cellar door sales you make, the conference will help guide you down the right path for achieving these business goals. As a business advisor, I’m extremely excited about working with local Virginia wineries and wine industry businesses, as well as those in surrounding states in the Mid-Atlantic and Southeast. We take our wine sector clients from start-up, through growth to maturity – and always with our focus on what’s right for the business and for the personal objectives of the owners. I’m even studying for my own Wine Business Management Certificate through Sonama State University in California, which gives me even more insight into the specific business challenges that wine industry businesses face. The Virginia wine industry is growing fast and we’d love to help your business be a part of this emerging new market. If you’d like to talk to me about your wine business needs, just send me a message and I’ll get back with you right away.